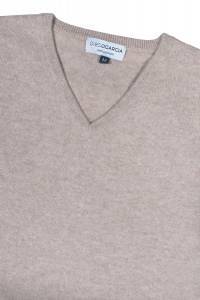 Each cashmere piece constitutes a quality requirement about the yarns selected and the respect of the design drawn in our French ateliers. Our models are a mix of influences, trends and different inspiration sources which characterize each collection. 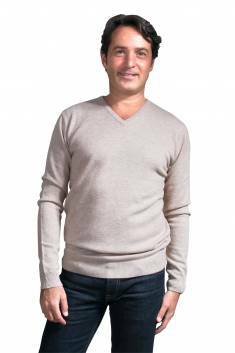 Every year, Diego Garcia creates new pieces to offer new fits, new colors, new spinning methods according to the latest fashion trends. We also reproduce some of our classics in new colors and new prints. Our cashmere is chosen and spinned by the best Mongolian livestocks that work as in tradition and with respect towards the animals. Each piece is produced with the most beautiful yarns, carefully selected for its softness, its delicacy and its quality. 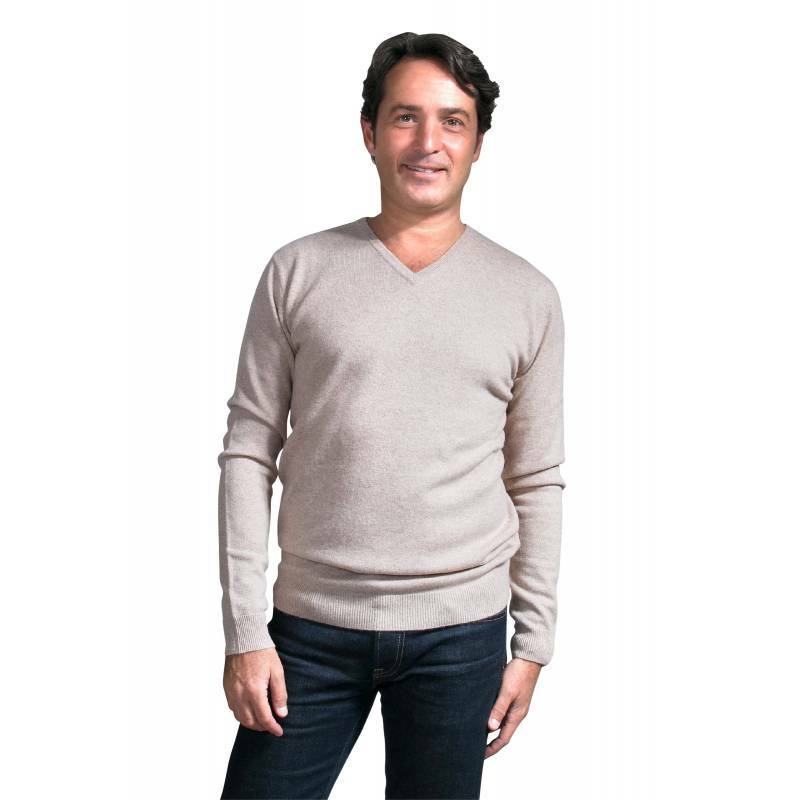 A know-how that we care about and that is part of each cashmere piece, making it unique. 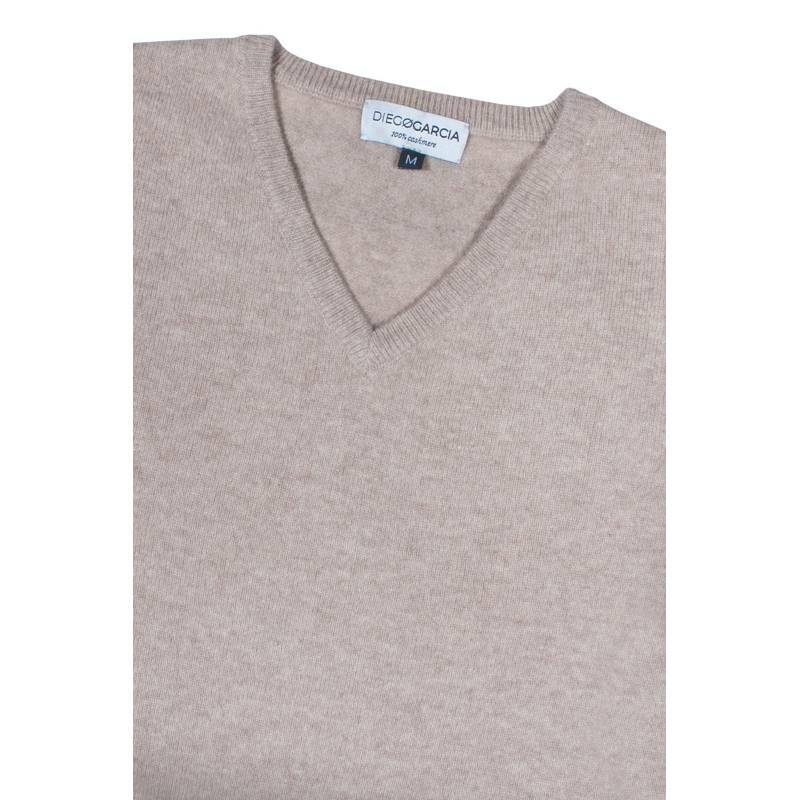 To prolong the life of your cashmere, we recommend to wash it by hand or in a machine in water not exceeding 30°C. If washed in a machine, it should be placed in a laundry bag and the machine should be set on wool program. 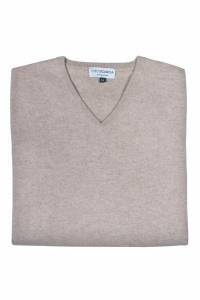 It is also highly recommended to lay flat your cashmere and not to dry in a dryer. To arrange it, fold it and avoid hanging it up for a long time. 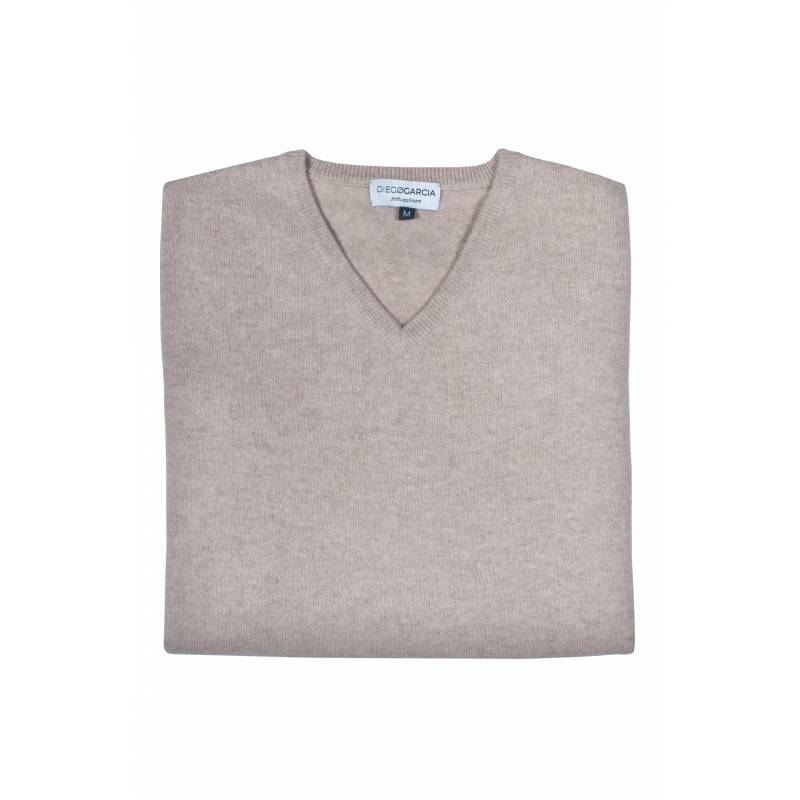 The V neck cashmere sweater is a timeless piece. Must-have, it can be combined easily with all your style and brings a touch of elegance. 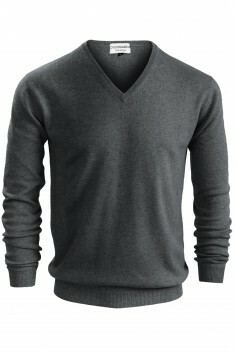 Straight fitted with a V neck, not deep, and ribs at the cuffs, at the collar and the bottom. Made with two yarns, our V neck cashmere sweater can be worn in each season. 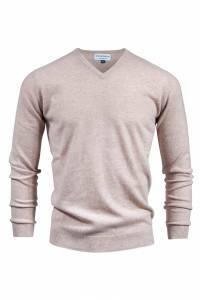 Associated with a shirt or a t-shirt, it accomodates to all your outfits. 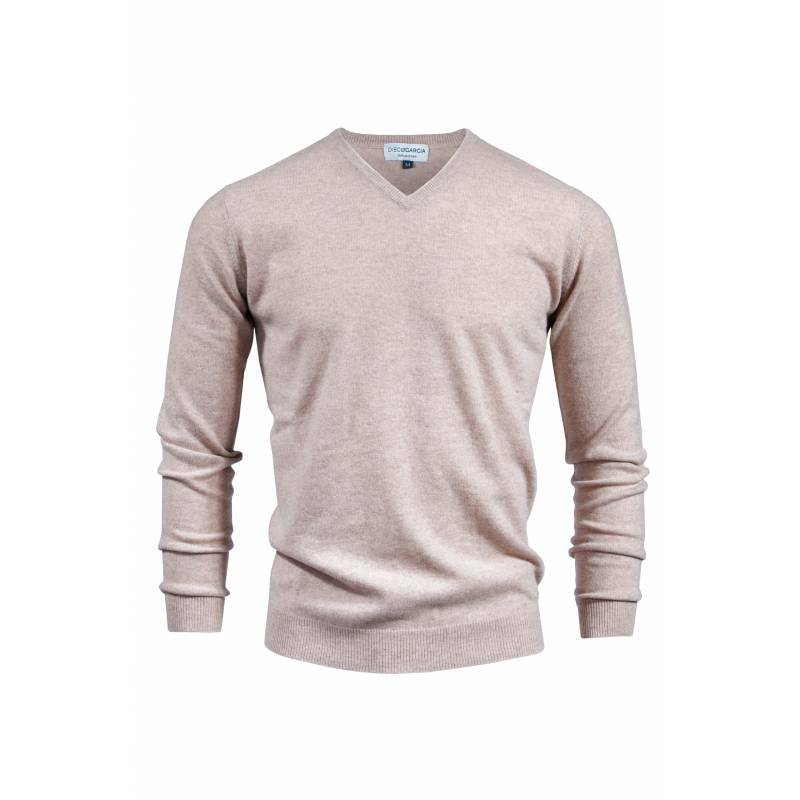 Discover this piece in several colours. If you have some questions, our customer service will be pleased to call you back. Our swithboard is open: from 10 AM to 1 PM and from 2 PM to 6 PM from Monday to Thursday.